It's going to be a busy movie season this winter! The full list of Oscar nominees was announced last week, and we can't wait to a) watch all the movies, b) see who's going to win this year. Which ones are your personal favourites? We surely hope that the Danish drama The Royal Affair is going to win an Oscar for the Best Foreign Movie. 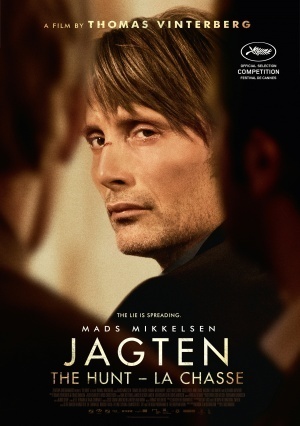 Another critically acclaimed Danish film - Jagten (The Hunt), by Thomas Vinterberg (remember him from Dogma? ), just premiered in Denmark last thursday. Don't miss it. Such an excellent, absolutely must-see movie, and Mads Mikkelsen is at his best. Bear with subtitles, you won't regret it.